A gentle foaming hand wash with the scent of pink lotus and rice water nourishes dry hands and soothes your senses. The little moments can have a big impact. With Dove Foaming Hand Wash with Pink Lotus & Rice Water scent, you can transform even the smallest cleansing moment into a pampering one. Inspired by nature, this foaming hand wash is infused with the scent of pink lotus and rice water to make every wash a moment of comfort. 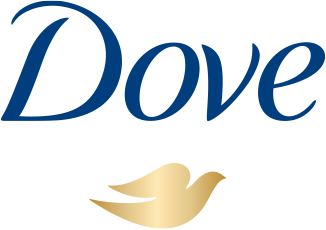 This Dove hand wash doesn’t just clean. With 5x more moisturizers than the leading hand wash, our foaming hand wash nourishes your skin as well as purifying, so your hands are left soft, smooth and delicately fragranced. Alcohol, dye and sulfate-free, and 100% gentle cleanser, this caring formula leaves your skin feeling nourished and helps to soothe dry skin on hands, too. Just the thing to make a little moment one you look forward to all day. Want to soothe dry skin on hands? Soap can strip your skin of moisture – so using regular hand soap could be drying them out more. With 5x more moisturizers than the leading hand wash, Dove Foaming Hand Wash with Pink Lotus & Rice Water scent nourishes your skin, too. Care and cleansing, hand in hand. Make sure even the smallest cleansing moments leave you and your skin feeling restored. 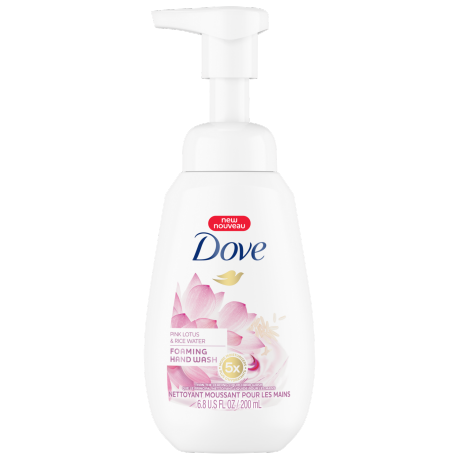 Purifying and refreshing, this Dove foaming hand wash leaves your skin clean without that dry feeling. Instead, they feel soft and healthy. For a delicate scent, turn to our foaming hand wash. With a bright, floral fragrance of pink lotus flower and rice water, your skin is left lightly scented – and you’re left feeling pampered. For a pampering, delicate boost, pump Dove Foaming Hand Wash with Pink Lotus & Rice Water scent into wet hands. Massage the creamy foam into your hands, and then rinse. Wondering how to get rid of dry skin on hands? With 5x more moisturizers than the leading hand wash, Dove Foaming Hand Wash with Pink Lotus & Rice Water scent will protect your hands from drying out during cleansing. In between, try topping up your hand cream after every wash. Keep a rich hand moisturizer by the sink and your hands will feel softer and smoother in no time.